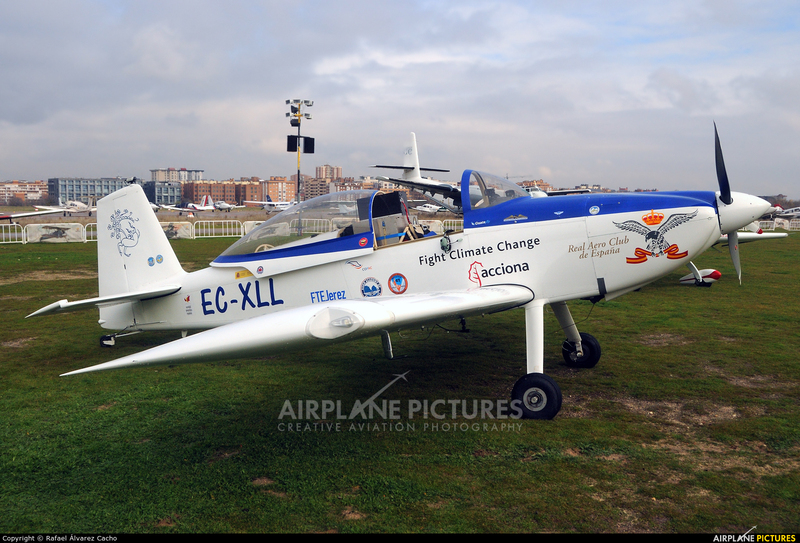 Shortly after his arrival in Madrid, the RV-8 aircraft of Spanish aviator Michel Gordillo rests at the Madrid-Cuatro Vientos Airport. The Spanish pilot Michel Gordillo arrives in Madrid after the successful completion of his flight to break the world record (FAI C-1b record) by flying a North / South route through the poles with an airplane of less than 1500 MTOW . Miguel Angel Gordillo, an experienced "Earth Rounder", has built and modified this RV-8 aircraft for this flight. The mission of Sky Polaris, which will also study the effects of black carbon particles that are affecting our atmosphere from some of the more remote locations. #FightClimateChange.